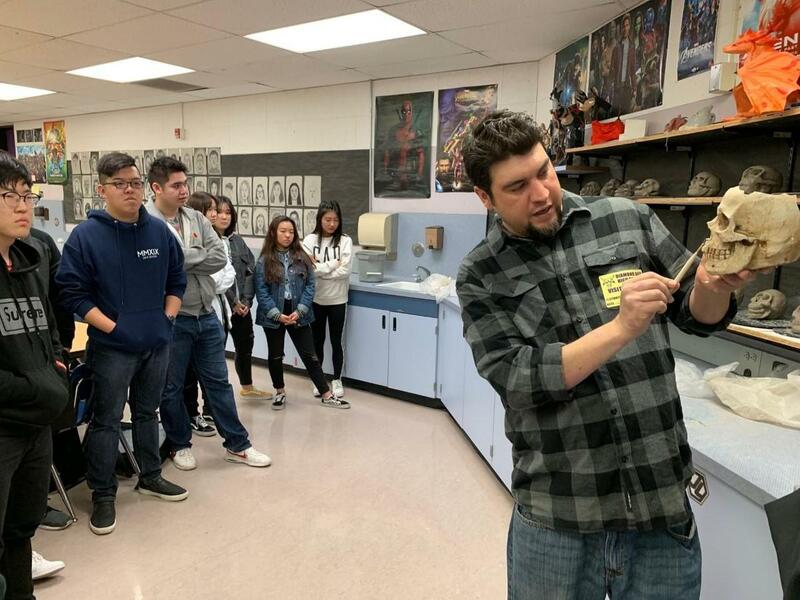 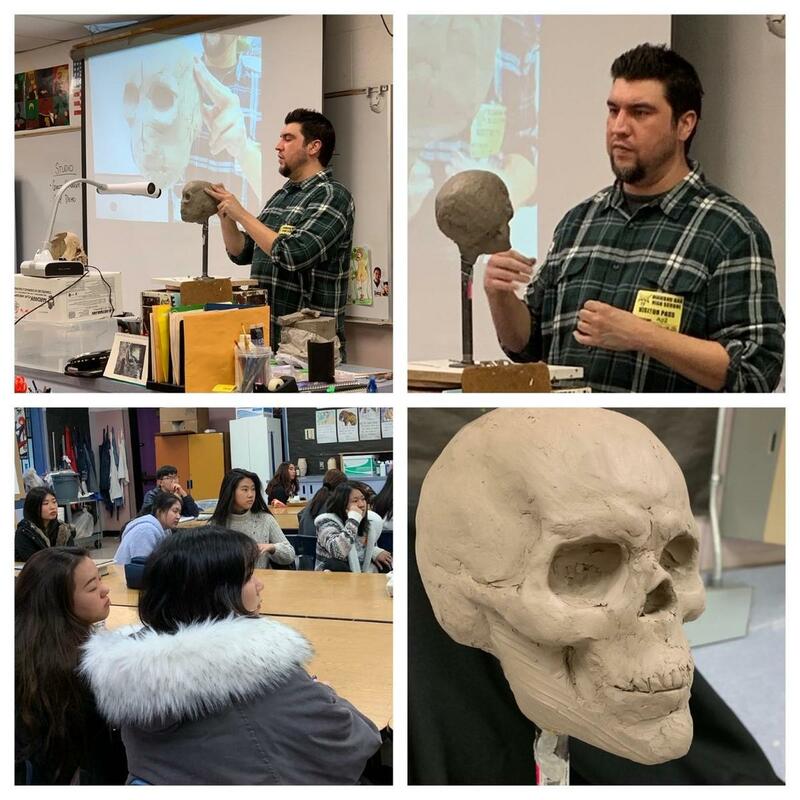 Special guest Andrew Freeman(professional special effects artist, reality star winner of season 12 of Face/off, and owner of Immortal Masks) came into Studio art to teach an art project. Students were to sculpt a skull out of clay. Mr. Freeman returned 3 weeks later to give a critique. 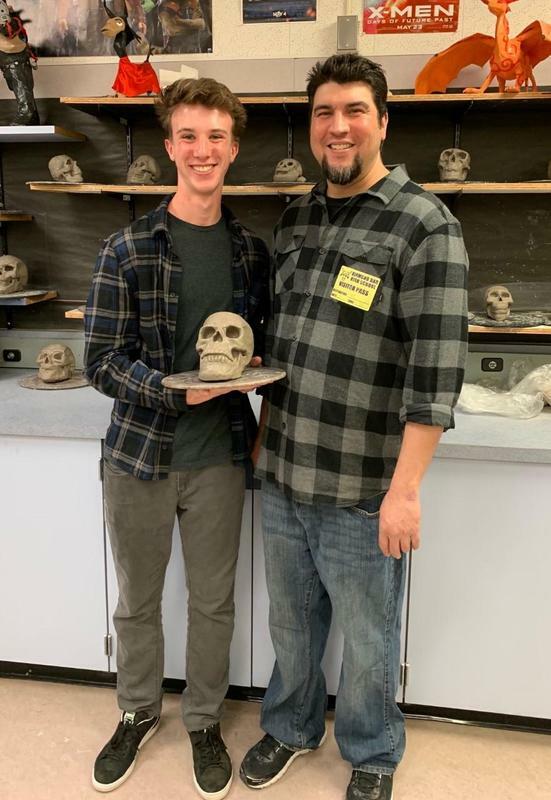 He selected Mason Fox as the winner of the best skull design. 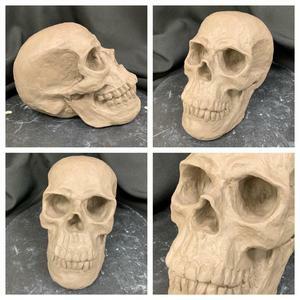 Congratulations to Mason who wins a private sculpting lesson with Andrew at Immortal Mask Studios. 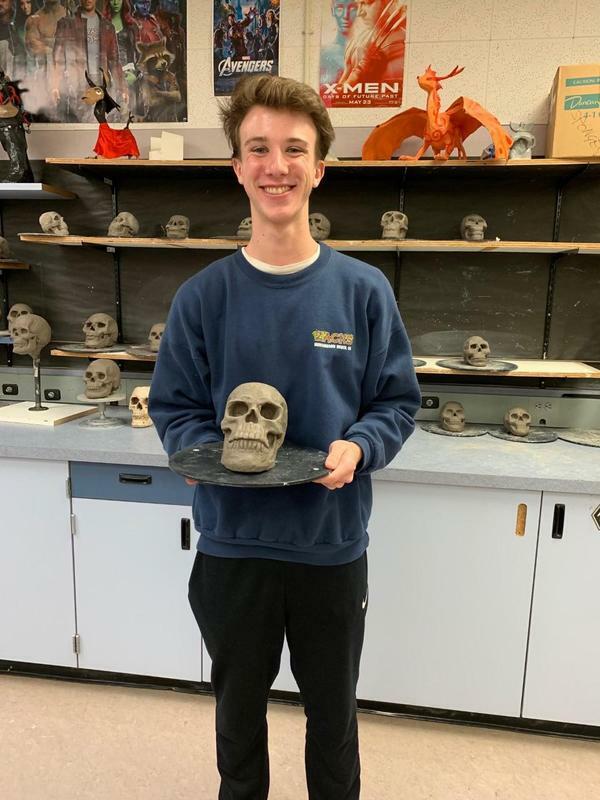 Mason Fox is our Studio Artist of the Month.